After lurking on the fringes of the hobbyist electronic and retrocomputing communities for a few years I’ve decided to take the plunge and join the RC2015/01 retrochallenge. 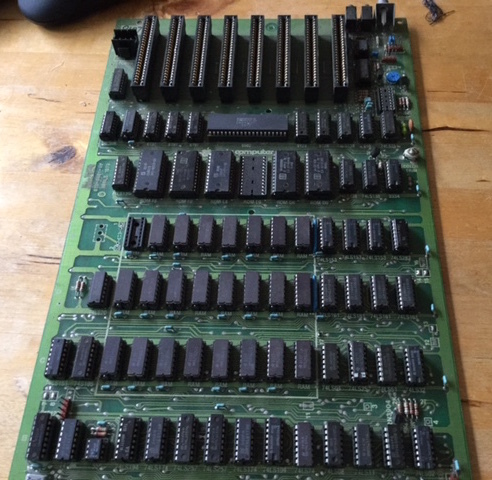 The task I have assigned myself is to revive this 1981 vintage revision 7 Apple II motherboard which I discovered in a box of parts while visiting my family last week. I have a vague memory that I got this board and some other spare parts in the mid 90’s, but beyond that its origin is a mystery. 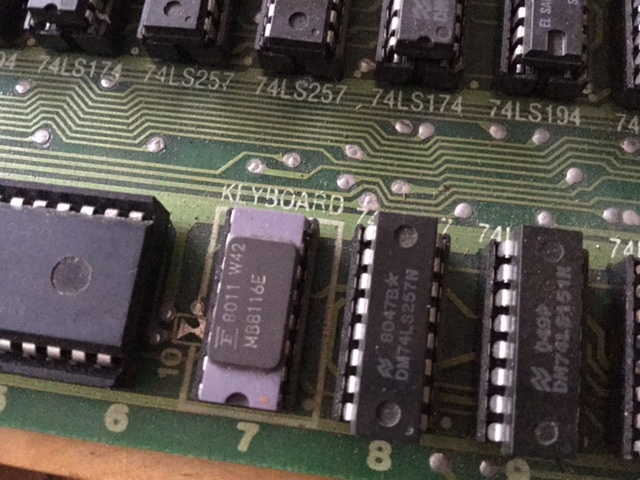 I have not tried to power up the board, but strongly suspect that it does not — if you look closely you can see that some wag has replaced the MOS 6502 with an Intersil 6402 UART! Astute readers will also note that not only are the ROMs out of order, but one is upside down. Clearly I’ll have my work cut out for me as I cannot assume anything on the board is working, or correct. There are also some minor repairs needed to the board (a transistor has snapped off, bent pins, covered in dirt, etc), but nothing that looks too scary. So, in preparation for next January, it’s off to eBay to stockpile parts for test rigs and spares. 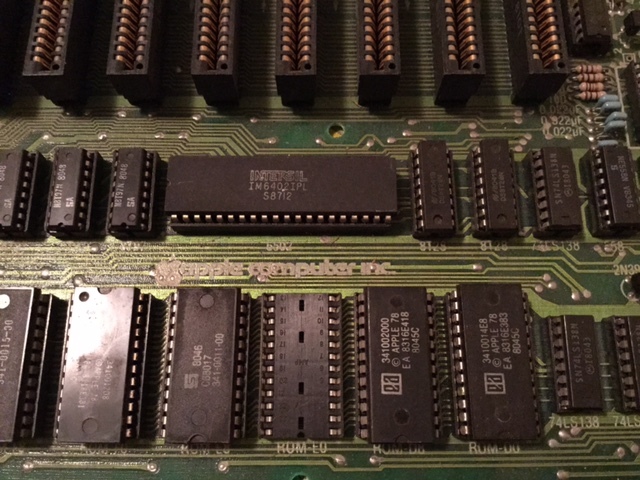 This entry was posted in Hardware Hacking, Retrochallenge and tagged rc2015/01 on December 1, 2014 by Dave Cheney.